Earn up to 75% commission on each sale you refer! 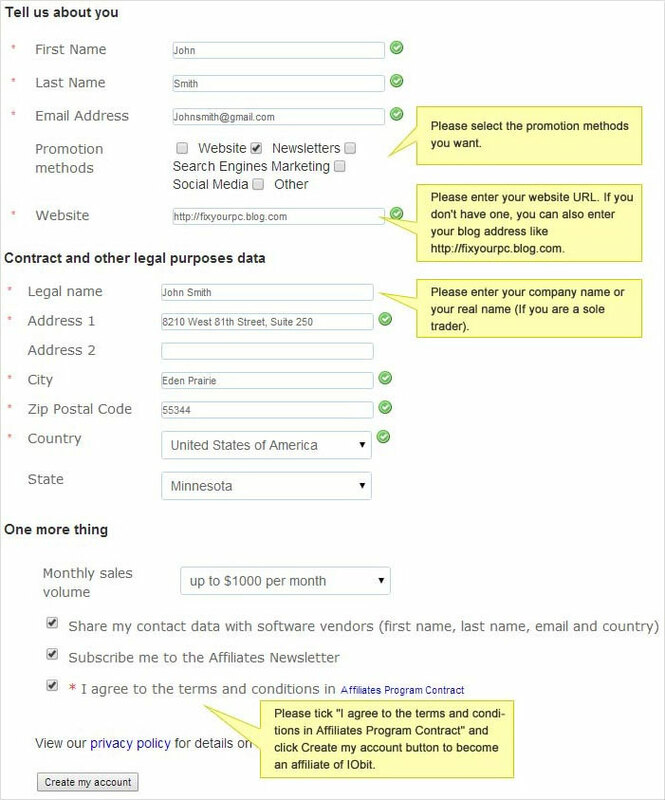 Sign up with Avangate by filling in a short form, and you will receive an email with access to your account within 48 hours, after your registration information is verified. Click to see the example. Already an Avangate Affiliate? Log into your account, search IObit and request a partnership. Your request will be automatically approved. * Important Notification: Your signup is conditional upon you agreeing to the IObit Affiliate Terms & Conditions. As a sales affiliate of IObit, you have to abide by the Terms & Conditions.